We are a fencing company based in the busy market town of Wisbech, Cambridgeshire. Fen Fencing has been providing and installing fencing and gates to our many satisfied clients over the last decade. We carry out work in Cambridgeshire, Lincolnshire, Norfolk, Suffolk and surrounding areas. We pride ourselves on the quality of our products and high workmanship at a very competitive price to suit all budgets. We believe that a well constructed fence really enhances a property, adding security and privacy. All work is carried out to a very high standard and to your specific requirements. 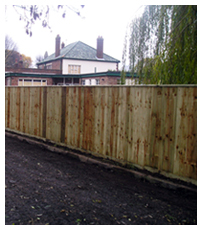 We aim to provide a friendly and professional fencing service at a budget to suit you.